With the Bowen 3 Seater Chesterfield in your house or office space, you will be the envy all. If you want to fit in with the high-end style of others in Narellan, Camden, Campbelltown or other surrounding suburbs, you need the high-end style of a classic leather couch. In fact, everyone in Sydney will strive to have a space like yours. Now you can own a quality, custom made leather couch made right here in Australia. If you are in love with the style of the Bowen Leather Chesterfield but need a little less or a little more, Leisure Lounges can adapt the basic design into anything from an armchair to a huge piece that will easily seat 10 people. Your leather couch can even be adapted to a modular lounge if that is what your design requires. Leisure Lounges uses an Australian made full timber frame. We don’t use any MDF or chipboard in our frames so we can confidently give you a 10 year warranty on the frame. Strong 50mm Webbing is used standard in all our seating. The webbing is from an Australian company and meet all the requirements for a 10 year warranty, which is supplied by the company. You also have the option to have your lounge made with steel springs. Whether you like your Bowen Chesterfield to have a firm seat or you want it to be soft and luxurious, we have the material that is just right for you. You can choose from Dunlop’s soft foam, medium foam, hard foam or Luxura foam. All Dunlop foams carry a 10 year warranty. 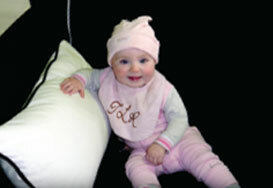 We also offer you the option of a duck feather seat for an even softer touch. If you want a leather couch that can be made to your exact specifications, look no further than the basic design of the Bowen 3 Seater Chesterfield.